94 Wine Review Online This is the first release of this wine, which is a new project launched by the Garcia family (led by Mariano, Eduardo and Alberto), which sits atop the winemaking hierarchy in Spain with only the Palacios family within sight. A plan to build a dedicated winery for the project is in the works, but for now, there's no doubting that this is an ultra-serious wine, as demonstrated by its very dense pigmentation, expressive aromatics, concentrated body, intense oak signature and very persistent finish. Although another five years of cellaring will be required for this to fully unfold, it already shows excellent purity of fruit (Ribera del Duero's particular strength with Tempranillo) even under a lot of assertive wood notes, and shows lots of little nuances after sufficient airing. Indeed, the wine was notably more complex rather than fading when re-tasted the day after opening, which is invariably a sign of excellent and as close to a guarantee of age-worthiness as one can find. Certainly this can be enjoyed today with robust foods like grilled lamb, but this was built to bloom fully in 5-10 years. Stay tuned...this will likely develop from an excellent to a great wine in years to come, and will also likely to be the first in a string of superb wines under this label. 93 The Wine Enthusiast This dark, concentrated number is new from the García family, known for the wines of San Román and Mauro. Like most reds from this clan, this is loaded with blackberry and toasty oak aromas. A massive, raw palate shows abrasive tannins. Oak-forward flavors of blackberry, cassis and coconut finish woody and powerful. Drink from 2018–2028. 92 View from the Cellar The 2014 vintage of Garmón is listed at the same 14.5 percent as the 2015 version, but it seems just a tad riper in its aromatic profile than its younger sibling. The bouquet is deep and blossoming nicely, offering up scents of black cherries, black plums, Cuban cigar wrapper, a nice touch of soil, woodsmoke and a very well done framing of nutty new oak. On the palate the wine is full-bodied, ripe and very well-balanced, with a good core of fruit, fine focus and grip, wellintegrated, chewy tannins and a long, focused and promising finish. This is a fine wine in the making, but it needs some cellaring time to blossom properly. 2024-2055+. 92 Vinous Media (aged for 16 months in French oak barrels, 50 percent of them new) Inky ruby. Vibrant, assertively perfumed aromas of blackberry, cherry liqueur, cola and incense, plus a smoky nuance and a suggestion of vanilla. Sappy, seamless and penetrating on the palate, offering bitter cherry, dark berry liqueur and spicecake flavors complemented by licorice pastille and mocha flourishes. Turns sweeter and livelier with air and finishes floral and extremely long; silky smooth tannins frame the intense fruit. 92 Wine Spectator Loamy earth and black olive notes frame a core of black plum and currant in this solid red. The muscular tannins are well-integrated, giving way to minerally and toasty hints on the finish. A savory style, with good depth. Tempranillo. Drink now through 2029. 2,750 cases made. One of the most anticipated projects in Ribera del Duero is the one from the García family of Mauro fame. Of course, Mariano is a partner in Aalto, so he has produced a few wines from Ribera del Duero before, not to mention his 30 years at Vega Sicilia from 1968 to 1998... So Garmón is the contraction of the surnames of Mariano's sons, Alberto and Eduardo, García Montaña. 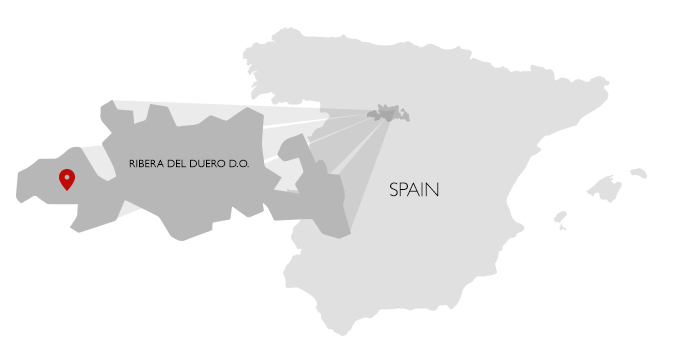 The project is in Olivares de Duero across the river from Quintanilla de Onésimo in the province of Valladolid. The idea is to produce some 50,000 to 60,000 bottles from vineyards in the villages of La Aguilera, Moradillo and Baños-Tubilla. They produced their first wines in 2014, when they fermented some 38,000 kilos of grapes. 90 Decanter Magazine Elegantly cedary on the nose, this is an archetypal Ribera showing red and black berry fruits, menthol and liquorice complexity. It is still youthful and muscular, with a creaminess to the texture and a bold finish. 90 Wine & Spirits Magazine Black in its fruit intensity, this dark Ribera lasts on its ripe flavors, accompanied by powerful tannins and tense acidity. It’s a big wine, ready for steak, with enough tannic strength and acidity to go for ten years in the bottle. 97 Guia Proensa With a lot of character, very fine on the nose and energetic in the mouth. Fine, subtle, stylish, with a fresh fruity character, floral, mineral and ink notes. Structured, balanced, medium-high body, firm tannins, fresh acidity, tasty, with amplitude. 95 The Wine Enthusiast Bold aromas of flowers, ripe berries and cassis carry the exotic nose. This bottling from the renowned García family is intense, tight and structured like a brick house. Boysenberry, blackberry and chocolaty oak are the most notable flavors, while this oozes coffee, toast and peppery spice on a hard-driving but focused finish. Drink from 2020–2038. 94 Wine & Spirits Magazine Mariano García, former winemaker at Vega-Sicilia, founded Garmón with his two sons, Eduardo and Alberto, working with vines between 30 and 100 years old in the heights of Olivares del Duero. This is their second vintage, a wine with youthful intensity, combining ripe red fruit and spice in a delicious blend. The texture is firm, the acidity persistent, the wine acquiring earthy notes that increase its charm as it opens in the glass. 94 Vivir el Vino Included in their list of 365 best wines of the year 2018. 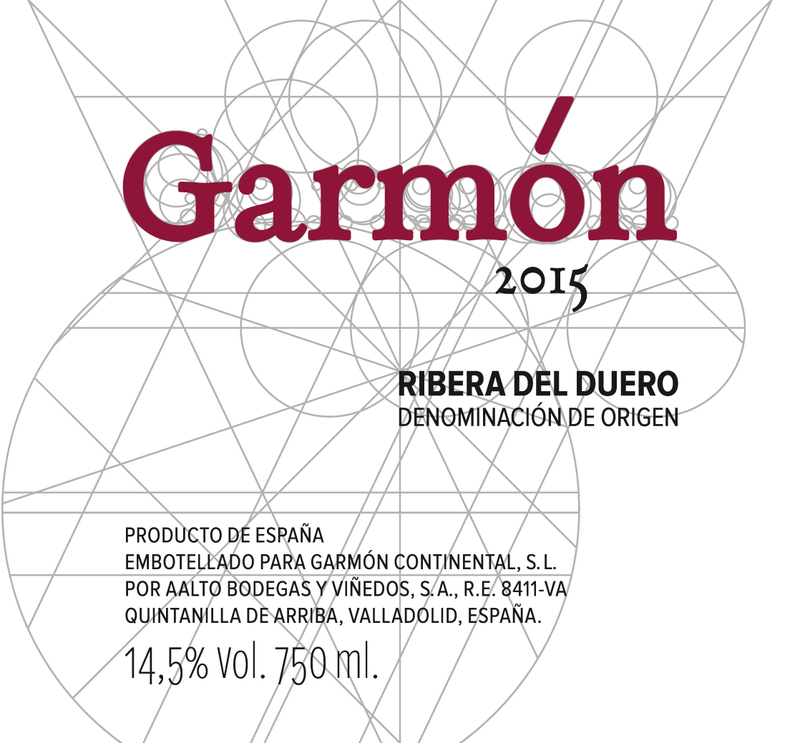 92+ View from the Cellar Garmón is the new project from Mariano Garcia and his family, who used to man the helm at Vega Sicilia and is now responsible for such Ribera del Duero icons as Mauro. 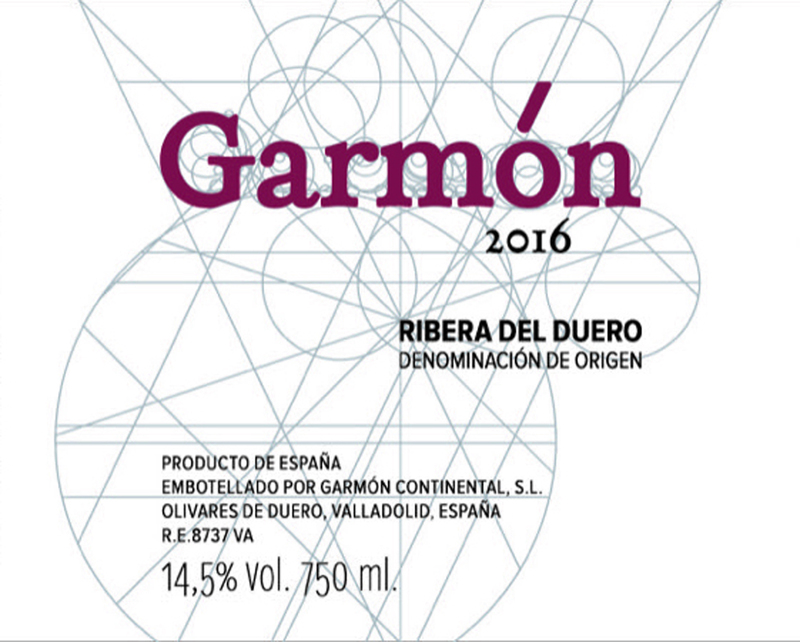 The 2015 Garmón is 14.5 percent octane, crafted entirely from tempranillo and aged for sixteen months in French casks prior to bottling. The 2015 offers up a fine nose of red plums, cherries, a bit of cocoa powder, good soil tones and plenty of smoky new oak. On the palate the wine is deep, full bodied and ripely tannic, with a good core of fruit, a nice bass line of soil tones and fine length and grip on the nascently complex and focused finish. I find this less extracted than Mauro and therefore, to my palate, even better. This is good juice that needs some cellaring to allow its complexity to start to emerge. 2025-2055. 92 Decanter Magazine A relatively new wine from Mariano Garcia (of Aalto, formerly Vega Sicilia) and his sons; the brand comes from a merger of their surnames. Made from 30 - to 80 year-old Tempranillo, from a blend of vineyards. Very fine fruit expression with a rasp of tannin. Controlled and not at all overextracted. 92 The Wine Advocate The second vintage of the only wine produced here, the 2015 Garmón is from a dry and warm vintage. It fermented by plot with a pied de cuve in stainless steel vats, where the wine also underwent malolactic fermentation. The élevage was in 225- and 500-liter French oak barrels and lasted some 16 months. There was a little more new oak in 2015, and the year delivered riper wines; they tried to compensate with more grapes from cooler zones within Ribera del Duero. It has some grainy tannins and a round, wide palate. It's a more powerful vintage. 45,936 bottles and 1,768 magnums were filled in June 2017. Forty percent of the volume is exported. 93 The Wine Advocate Cropped from a cooler year, the 2016 Garmón is fresher, cooler and juicier, with elegant and polished tannins. The process is similar every year, and the differences are mostly due to vintage variations, but in this vintage, they used a higher percentage of used barriques for the élevage (50/50 new and used). 2016 is fresher, more elegant and a little lighter. It has a medium to full body and some grainy tannins. Give it a little more time before you pull the cork. 50,000 bottles produced. It was bottled in June 2018.